Dry cat food is a multimillion dollar industry. 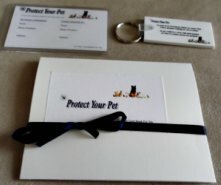 There are so many different brands, that sometimes it's hard to choose which one is the best one for your cat's health. Just as food is an important part of providing energy and nutrients to the human body, to help us both feel and look our best, cat food does the same for our felines. Below we will list and discuss eight important factors to consider when buying dry food. Grocery stores are a great place to do your weekly shopping for your human family, but not a good place to shop for your feline family. Although they might carry some popular commercial brands, they do not carry healthy premium dry cat food which is important to keeping your cat healthy. It might be convenient to buy your cat food meanwhile already shopping for yourself or your family, but it's worth it to find the time to stop by your local pet store to buy your cat's food. These popular "junk cat foods" are also at your local pet store, however you can easily walk past them and go to the premium cat food, there the ones with the real meat. When choosing cat treats you should also avoid buying them from the grocery store, find out more about finding the healthiest treats for your cat by reading Cat Treats Can Be A Healthy Addition To Your Cat's Diet. In this economy, and to be honest any economy, we love a great deal and cheap prices. However this does not apply to cat food. Cheap cat food is usually filled with fillers and grains so that they can keep the price done, real meat is more expensive. Cats are carnivores, and therefore need real meat in their diets to be healthy. Buying cheap cat food now may cause you more in vet bills later. Dry cat food companies sometimes try to trick us by listing a meat as the first ingredients and then corn, corn meal and meat by products as the other ingredients. If the first ingredient is a specific meat, like say turkey, and the rest are vegetables and meat by products, then the dry cat food is made up more of fillers than protein. Look for a brand that has specific meat, not stating meat by products, but instead turkey, chicken, duck, as the first 3, no less than 2 ingredients. Meat by products is basically after they've taken all the good parts for humans, then they put the rest that we wouldn't eat. Our cats deserve to also eat the most nutritious pieces of protein and not be given the beak and the feathers. Homemade cat food made with fresh meat such as; turkey, chicken, salmon, ect is a great way to add some protein into your cat's diet, read Homemade Cat Food Recipes, to find out how to make some easy healthy homemade meals for your cat. Many cheap cat foods are filled with grains, because grains are cheaper than meat. However our cats aren't omnivores as humans are, grains will not keep them at their healthiest. When deciding on a dry cat food, look for one that says grain free, most premium cat food, if not all are grain free. Here are two reviews of two healthy grain free cat food, Blue Buffalo Cat Food Review and Wellness Cat Food. If your cat has special health needs you will need to get a cat food that caters to that specific need. For example if you cat is diabetic, you may need to get a specific brand of cat food that meets the specific needs of diabetic cats. 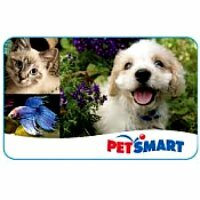 They have cat foods for cat with special dental needs, or for cats that need to lose weight. These speciality brands are usually best to discuss with your veterinary. 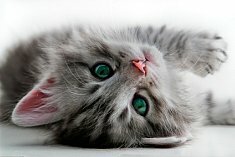 To find out more about diabetic cat food read Diabetic Cat Food:Choosing The Best One For Your Cat. Your cat food label should have kitten, adult, senior or all life stages written on the bag. At each stage of your cats life they have different nutritional requirements; your cat's food is design to meet those needs. An AAFCO statement on the bag means that the food had to go through certain tests to be approved. Look for dry cat food brands that have omega 3 sources listed in the ingredients such as; flax oil and salmon oil. Omega 3 oils suport your cat's vision, heart, immune system, joints and helps to give them a healthy shiny coat. They have some of the best cat food, high quality premium brands like Now, Wellness, Natural Balance, and EVO, at affordable prices, which is very important to us. They also have an assortment of healthy cat treats. All of their products are all natural, which makes them number one in our books. Cat Food Bowls: Is Your Cat Using The Safest One? - A Look At The Different Types Of Cat Bowls And Which Ones Are Safe For Your Cat. 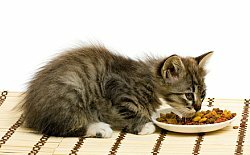 Cat Food Allergies: Symptoms, Diagnosis, Treatments- Discussing how to recognize if your cat is experiencing symptoms of cat food allergies and different treatment options. Growing Catnip- Tips on growing fresh catnip , the effects of catnip on your cat, and catnip toys.